Are you confused about which light bulb to buy? The Right Light Guide created by the Clean Energy Resource Teams can help. 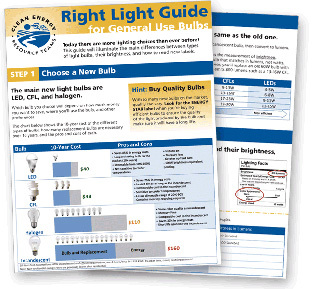 Download the Right Light Energy Guide here. OPU provides rebates for Energy Star LED lighting. Click here to learn more.